Are you wondering what is the difference between alt text and image title in WordPress? Properly filling out your image meta data helps search engines to display your photos to the right people. In this tutorial, we will share what you need to know about alt text vs. image title in WordPress. We’ll also share image meta data best practices for your WordPress images and galleries, step-by-step. First, let’s cover exactly what you need to know about WordPress image alt text vs. image title…. The alt text is a description of the image and its purpose on the page. This description is used by screen readers (browsers used by the blind or visually impaired) to explain what the image is about and what it is for. For example, “Button to Buy Envira Gallery” would be a proper use of the alt text for an image being used as a button. The alt text is also used by search engines to determine what the image is about. Remember, search engines like Google can’t “read” the image itself, so this alt text is important for ranking your images in the search results! The image title is shown as a tooltip when you hover over the image, and can be useful for your website visitors. For example, “Click here to purchase Envira Gallery!”. The image title is not a requirement, however every image in your HTML should include an alt tag. 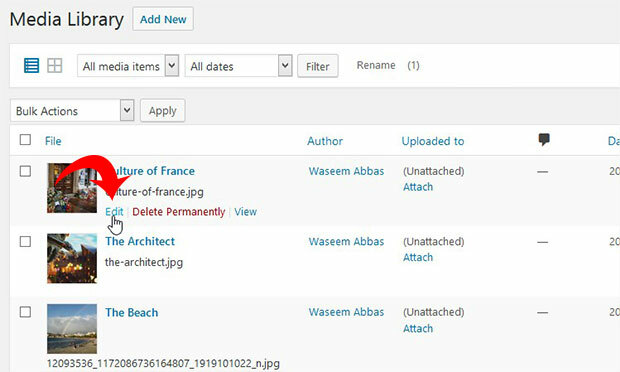 OK, now that you understand the difference between alt text and image titles, let’s go over some best practices for filling out your image meta data in WordPress galleries. 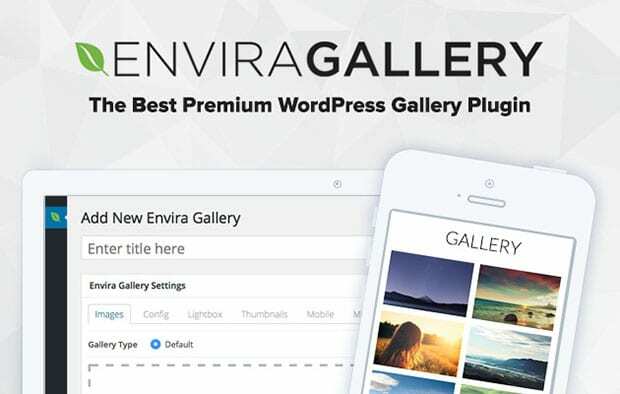 For the most SEO-friendly image gallery, we recommend installing and activating our Envira Gallery plugin. This step is optional, but it will allow you to get full SEO benefits and granular control over your galleries (with the Deeplinking Addon). You can check out how to install Envira here for more details. After activating Envira, simply go to Envira Gallery » Add New. You will see a new window to create your photo gallery. 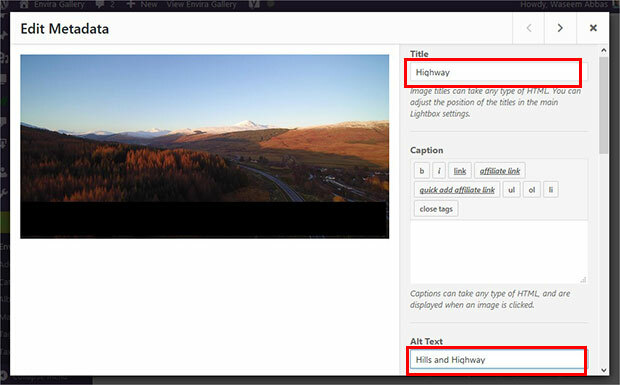 Simply add a title for your gallery, and then drop your images into the Native Envira Gallery section. 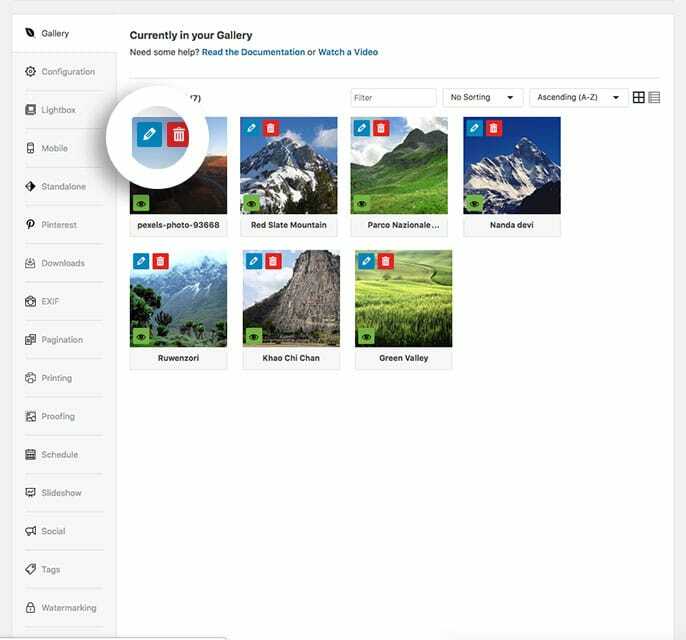 To learn more, you should check out our guide on how to create an image gallery with thumbnails in WordPress. 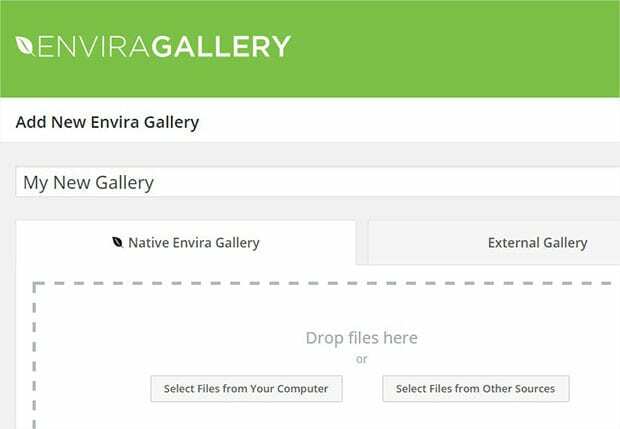 If you aren’t using Envira Gallery, skip to Step 3, Method #2 below. In the Images tab of your gallery, you’ll see all of your uploaded photos. Go ahead and click on the pencil icon on any image to edit the metadata. A window will popup where you can see the Title and Alt Text fields. Simply type in the best title and alt text for your photos. Make sure to click on the Save Metadata button. Then repeat the same process for all your photos. If you aren’t using Envira, then you should go to Media » Library from your WordPress admin. All the photos you’ve uploaded to WordPress galleries are available in this library. Edit a photo to add the title and alt text. It’ll take you to another screen where you can update the image title (by default it will set the image title to the image filename). Now simply scroll down to Alternative Text field. Here you can add the image alt text for the photo. Once you are done, hit the the Update button to save your image meta data. That’s all. We hope this article has helped you to learn what is the difference between image alt text vs. image title, and best practices for using them in WordPress image galleries. 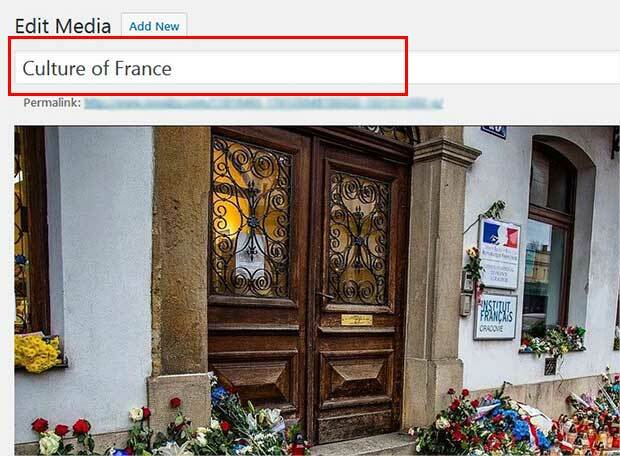 You may also want to check out our guide on how to rank your photos in Google. I have a problem displaying pictures in the gallery. Photos do not show up, what can I do? Hey Piotr, please drop us a line in support and we’d be happy to help you troubleshoot and get your gallery working! 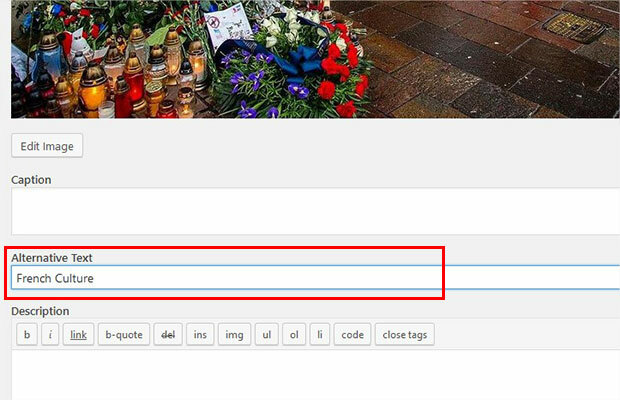 If the images already have an alt text in the media library, is it possible to have it auto populate this field in the gallery?